Eight of 11 sector gauges compiled by the National Stock Exchange ended lower led by the Nifty PSU Bank Index's 1.61 per cent decline. Domestic equity benchmarks extended losses dragged by weakness in IT, banking and telecom shares ahead of inflation data for the month of January. The S&P BSE Sensex fell 0.66 per cent or 241 points to 36,154 and the NSE Nifty 50 Index declined 0.5 per cent or 57 points to 10,831. Eight of 11 sector gauges compiled by the National Stock Exchange ended lower led by the Nifty PSU Bank Index's 1.61 per cent decline. On the other hand, Nifty Metal Index was top gainer, up 1.6 per cent. A Reuters poll of 30 economists predicted consumer price inflation (CPI) to have accelerated to 2.48 per cent in January, from 2.19 per cent in December. Meanwhile, in today's session mid- and small-cap stocks ended on a mixed note with S&P BSE Midcap index closing marginally lower while he S&P BSE Smallcap index declining 0.4 per cent. Bharti Infratel was top loser from the Nifty 50 basket of shares, it fell 3.34 per cent to Rs 312.70. 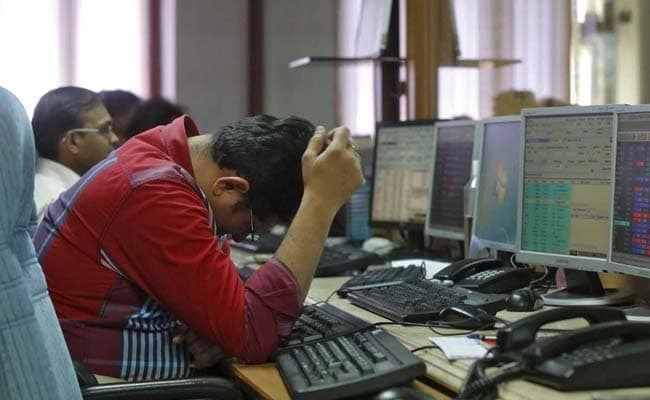 Hero MotoCorp, HDFC, State Bank of India, ICICI Bank and UPL were also among the losers. On the flipside, Zee Entertainment was top Nifty gainer, up 4 per cent to shut shop at Rs 418. JSW Steel, Sun Pharma, NTPC, Coal India and Eicher Motors were also among the gainers, up 1.85-4 per cent each. The overall market breadth was positive as 1,476 stocks ended higher while 1,057 ended lower.